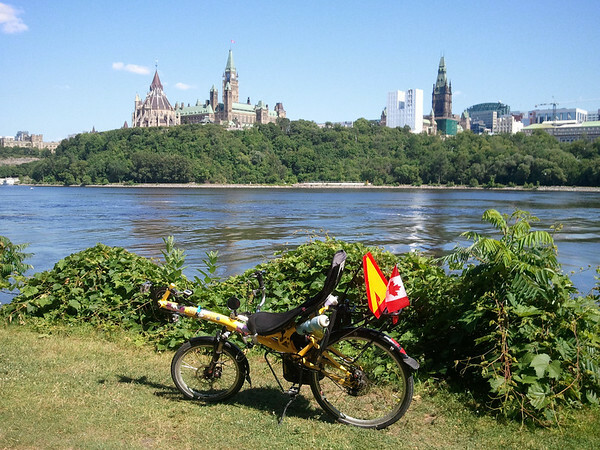 Since I haven’t had much opportunity to get out on overnight tours this year, I decided I’d do a photoblog of a cycle tour along the pathways in Ottawa. 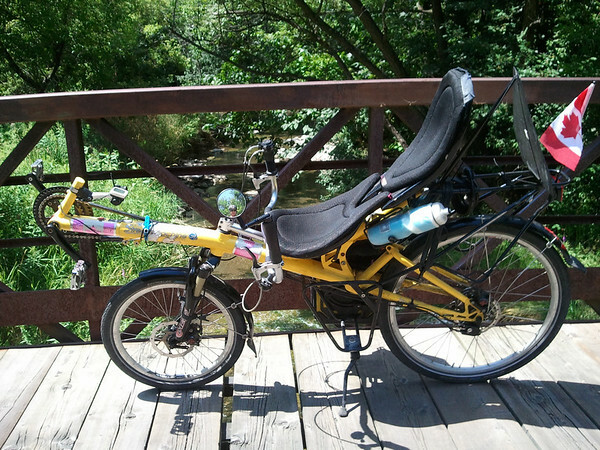 I’d also like to put out a challenge to all my cycle touring friends out there – if you aren’t blogging and aren’t touring, then how about showing the world what your regular ride looks link? If you take up this challenge, please post a link in the comments. 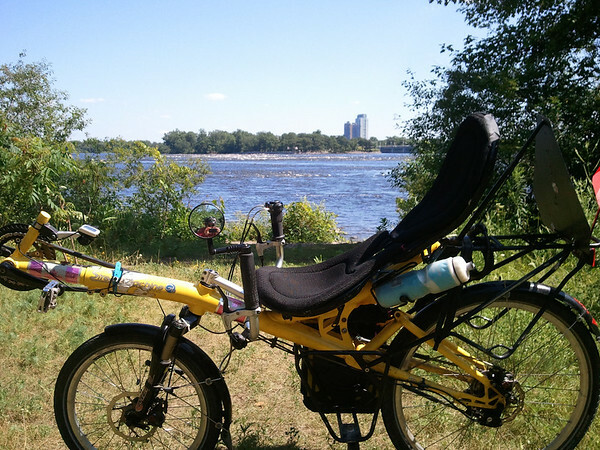 When I decided to do this – and have some fun with it – I found myself slowing down and really appreciating the beauty in the ride. 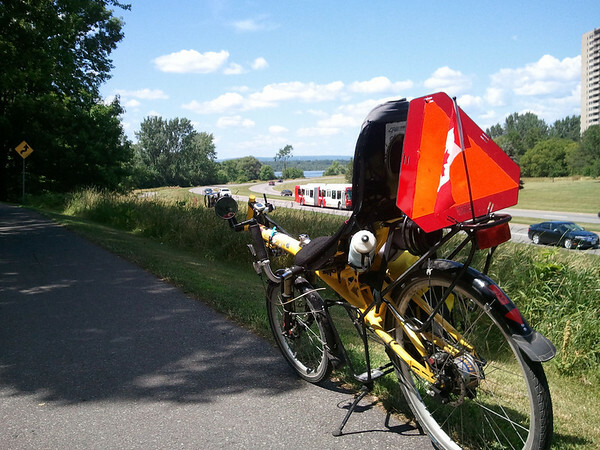 We are so vary lucky to have great urban bike routes that include to much nature. It is a rather lovely ride. Hope you enjoy the tour! 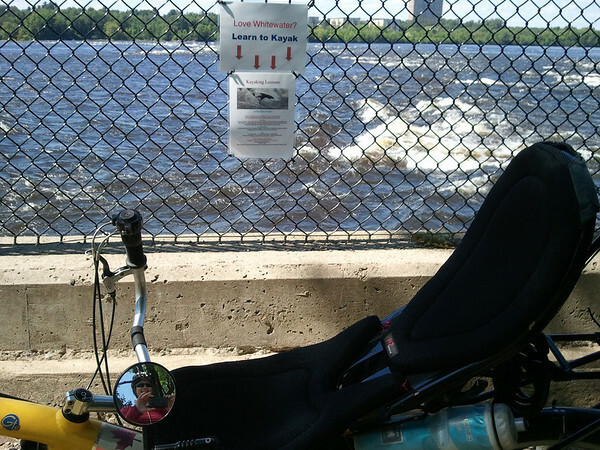 The first three photos are from the Quebec side of the Ottawa River, between the Champlain (Island Park) bridge and Alymer. 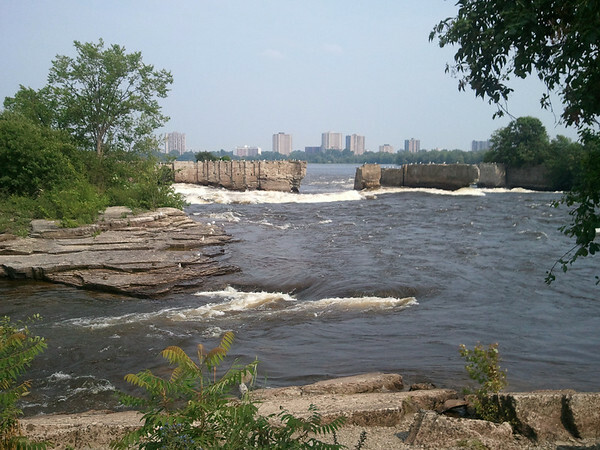 And here is a picture of the same rapids, from the Ottawa side of the bike path. An now my photos get a little more creative. Starting with a bridge across the Pinecrest creek. 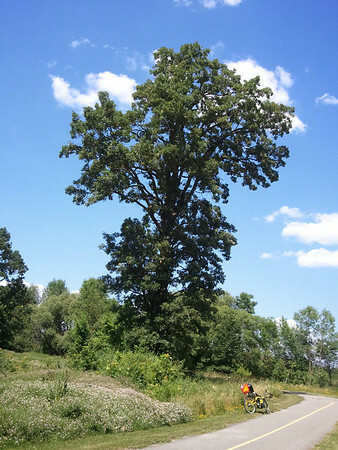 When I started to look for photo opportunities, I realized just how big the trees were on this part of the path. 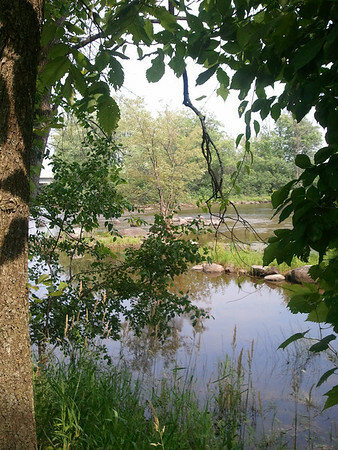 The initial view of the Ottawa River (I live about 5 km from the River). 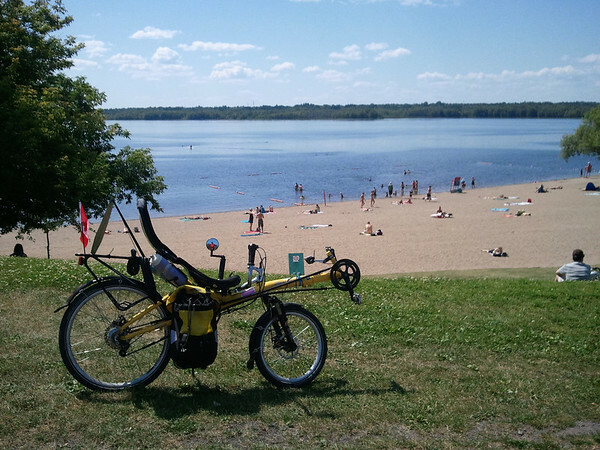 Rather than biking, some people enjoy the swimming at Westboro beach. 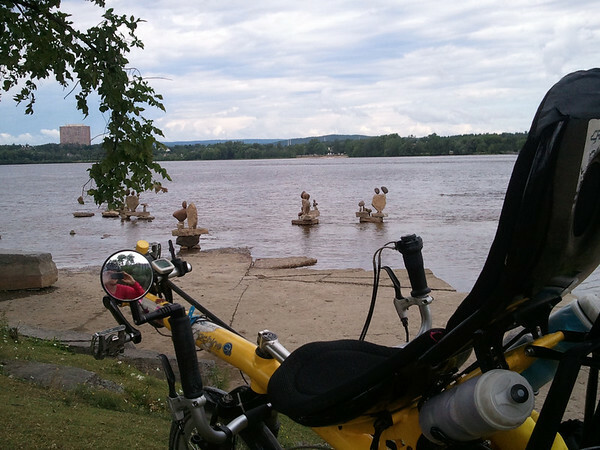 Each year, the NCC hires an artist who builds these statues in the river. The water is really high this year, so there aren’t as many as in years previous. I actually stopped and talked to the artist one year, and posted about it here. 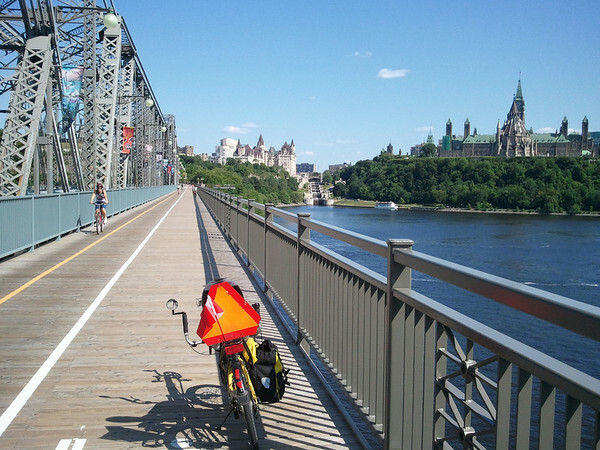 A brief stop on Bate Island on the over the Champlain bridge to Quebec. 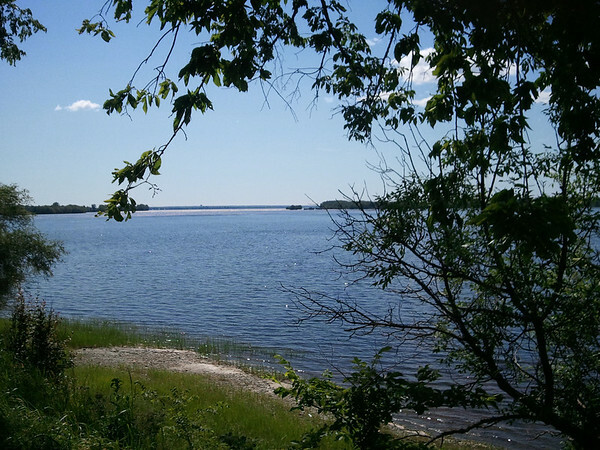 And Bate Island as seen from the bike path on the Quebec side of the Ottawa River just east of the Champlain bridge. The parliament buildings from what I think is one of the prettiest stretches of the Ottawa River pathway (Quebec side). And the National Art Gallery. 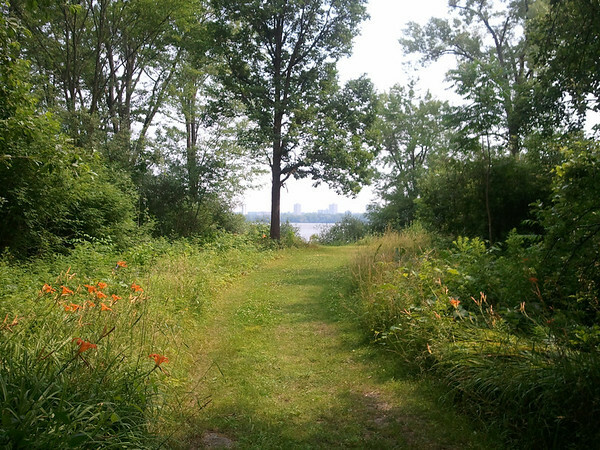 The paths follows along behind the museum of Civilization, providing another great photo opportunity. Crossing back on the Alexandria bridge into Ottawa provides a great view of the Rideau Canal locks. 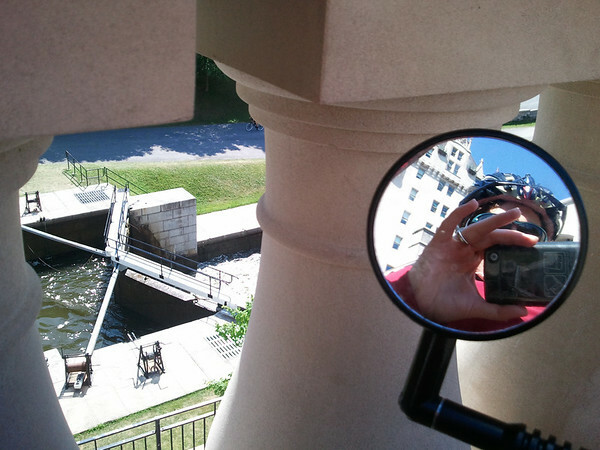 And a fun close-up shot of one of the locks with a bit of the Chateau Laurier in the mirror background. A close-up the Rideau Canal above the locks. 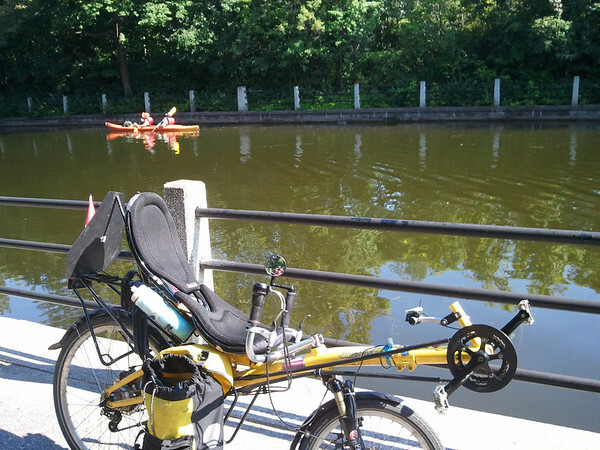 Some folks choose to explore the Rideau Canal by kayak. Unfortunately, I ran out of time and needed to get home. 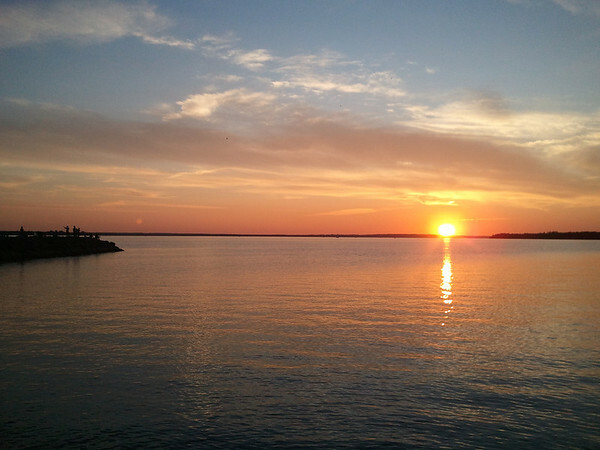 So I conclude this journey with a photo of the sunset from Britannia beach. What do you think? 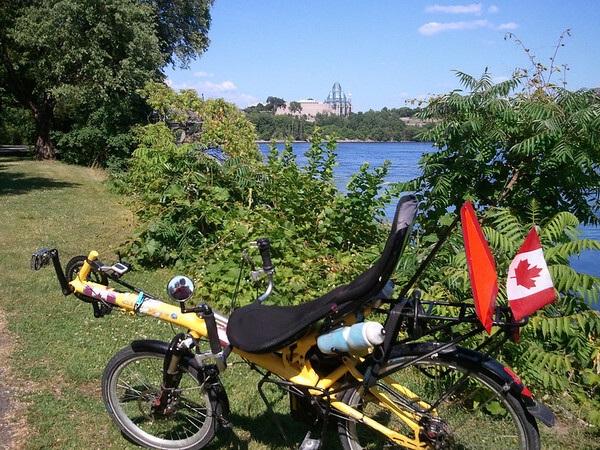 Will you take up the challenge and show the world pictures of your regular bike ride? I, for one, would love to see it. 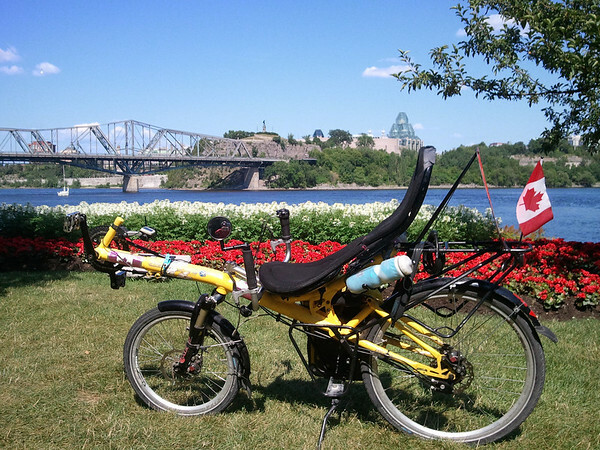 This entry was posted on Saturday, July 16th, 2011 at 12:43 pm	and is filed under Journal, Ottawa. You can follow any responses to this entry through the RSS 2.0 feed. You can leave a response, or trackback from your own site. This is the view from the Champlain Lookout in Gatineau Park. I ride up there with a friend as part of our tri training. One of my favorite places!